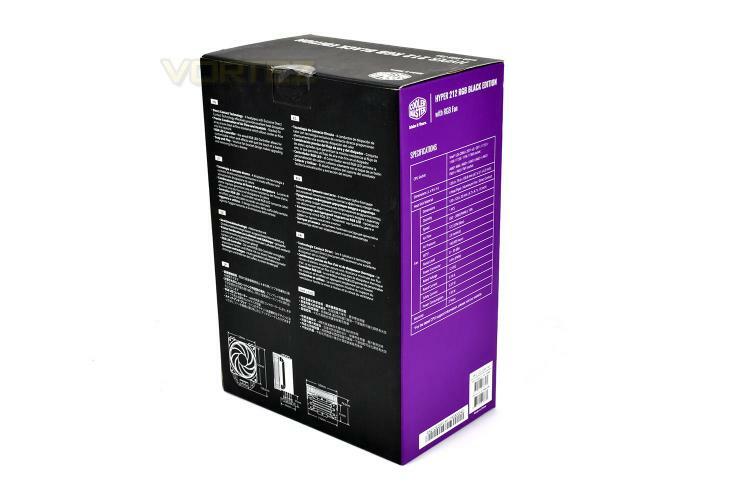 We love the bright purple that Cooler Master has adopted as its brand colour, so finding it on all of their recent packaging is fantastic. The packet gives plenty of information on the front and sides. On the back is a brief description of the tower cooler, in multiple languages, with blueprints of the cooler at the bottom, so you can ensure it’ll fit within your chassis. Bundled with the cooler are mounting brackets for all of Intel and AMDs socket types, excluding ThreadRipper. Cooler Master throw in a small tube of thermal grease to make installation that little bit easier. 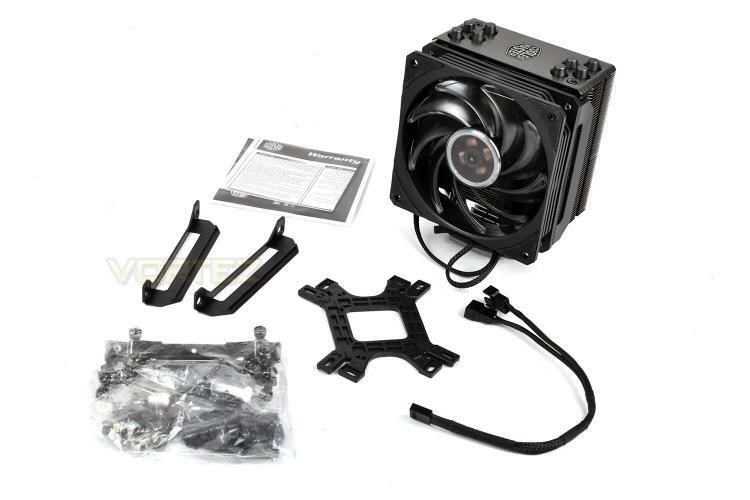 Along with the necessary pieces, there’s also an additional fan mounting bracket, enabling you to use a push-pull fan system if you require extra cooling power; the fan splitter is also provided for just that purpose. 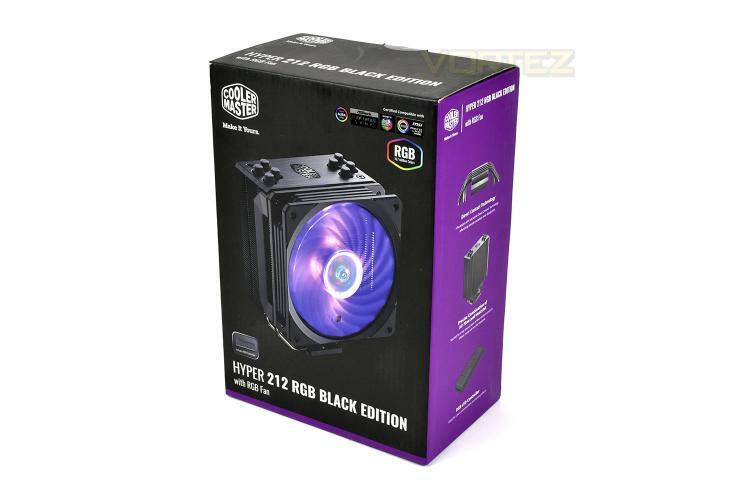 Provided with the cooler is an in-line RGB controller for the 120mm SF120R cooling fan, just in case your specific motherboard doesn’t have any RGB headers. 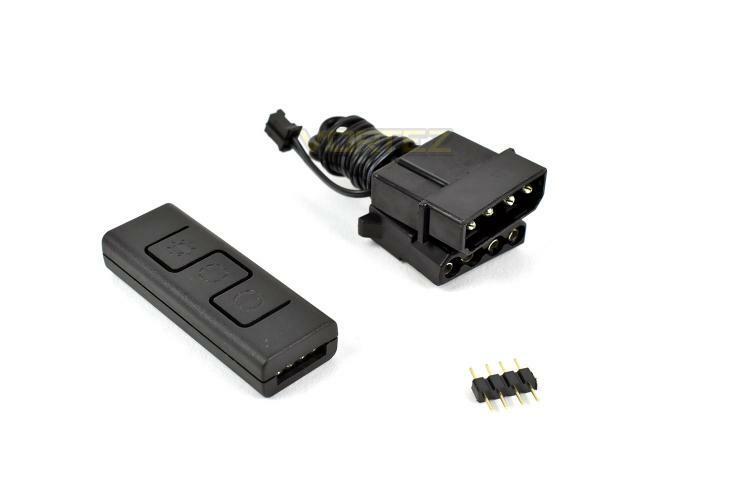 This connects to a MOLEX power connecter for power and requires no software.